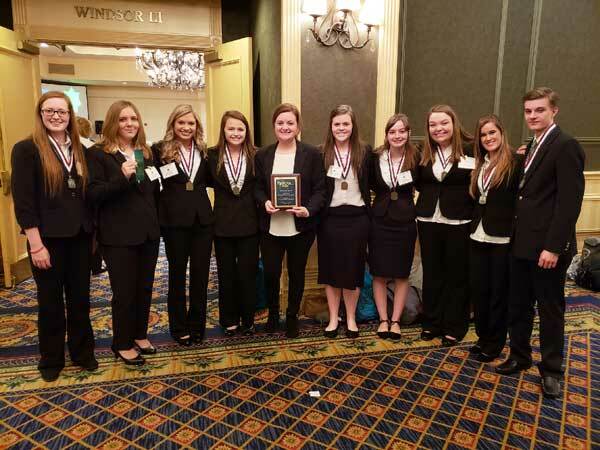 Students from the New Albany School of Career & Technical Education participated and competed in the HOSA State Leadership Conference in Jackson March 21-23. HOSA is the student organization for future health professionals. Pictured l-r are competition winners: Isibelle Jackson, 3rd place-Medical Assisting; Jenna Sampson, 5th place-Veterinary Science; Sydney Collier, 1st place-Public Service Announcement; Payton Robbins, 1st place-Public Service Announcement; April Voyles, HOSA State Advisor of the Year; Tabitha Greenwood, 3rd place-Nursing Assisting; Alex Criswell, 1st place-Public Service Announcement; Hailey Adsit, 1st place-Public Service Announcement; Shannon Boyd & Jack Durrett, 2nd place-Community Emergency Response Team. These students are eligible to compete this summer at the International Leadership Conference in Dallas, TX. April Voyles will also be recognized as the Mississippi HOSA Advisor of the Year in Dallas. Voyles has been teaching Health Science and Clinical Services, as well as serving as the HOSA Advisor at the Career & Technical Center for ten years. She earned her Bachelor of Science Degree in Nursing from the Mississippi University for Women. 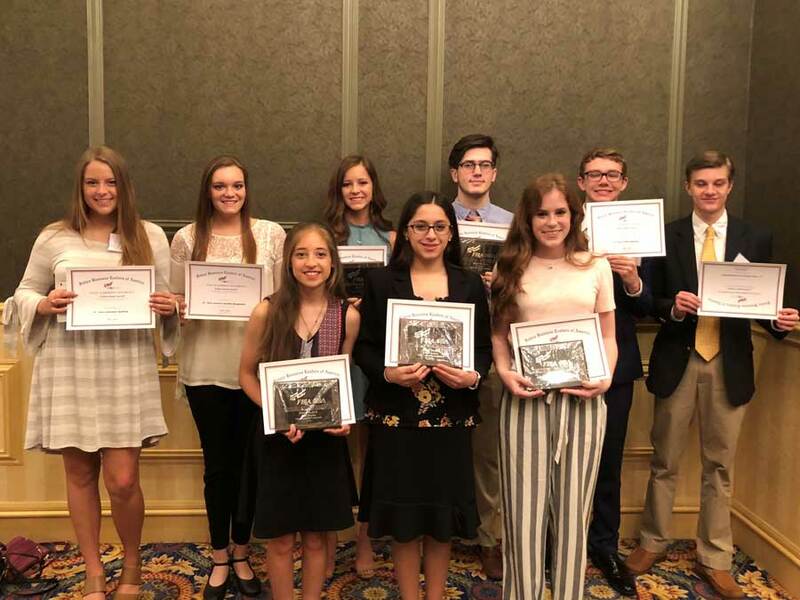 Students from the New Albany High School Future Business Leaders of America club attended the State Leadership Conference in Jackson, MS, April 11-13. The following students placed, and those who placed first or second will be eligible to compete at the national level this summer. The National Leadership Conference will be held in Baltimore, MD.